Its summer, and so everyone seems to be waxing up a storm. When was the last time you tried a new wax? What about a new wax for your sensitive clients? I know, I know - scary thought. However, we have an incredible hypoallergenic, fragrance-free, clear wax from Berodin that is definitely worth a try! This wax has been FLYING off our shelves lately, and our clients are absolutely loving it! 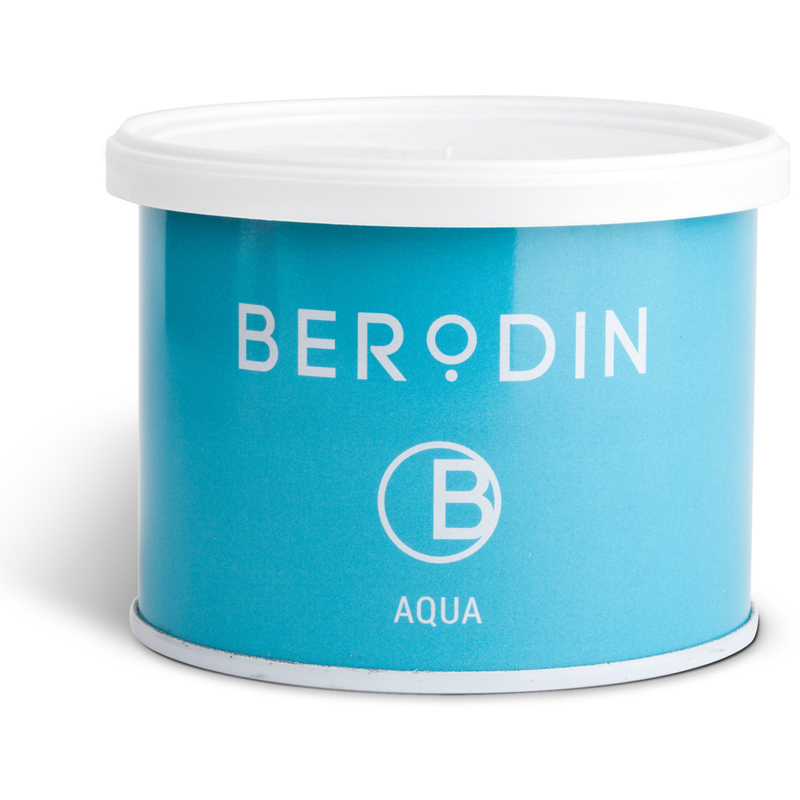 Berodin Aquamarine Wax is a hypoallergenic, fragrance-free clear wax for all skin types. Heated at low temperature, this microcrystalline wax is gentler than other clear waxes. Designed with speed waxing in mind, it’s applied very thin and allows you to cover large areas. Effective on fine and short hair with a single application leaving the skin smooth with no residue. Berodin Wax is the leading depilatory wax in the industry and is for professional use only. Apply wax in the direction of the hair growth, remove against. Keep hand along side of the body when you are removing the strip, do not pop your hand out into the air. Keep the skin tight at all times. Have the customer help you on areas where you feel you need assistance. Hydrogenated Poly (C6-20 Olefin), Paraffinum Liquidum (Mineral Oil), Cera Microcristallina (Microcrystalline Wax), Pentaerythrityl Terta-di-t-butyl Hydroxyhydrocinnamate, Bis(2,2,6,6-tetramethyl-4-piperidyl), Sebacate, CI 61565 (Green 6).